Nancy Beckman studied the shakuhachi (Japanese bamboo flute) at Myoanji Zen temple in Kyoto from 1972-1976 where she learned the traditional solo Zen Buddhist meditational pieces. She received her shakuhachi name Fukushin and the license to teach shakuhachi from Myoanji. She continued studying shakuhachi, along with ethnomusicology and Japanese translation at Wesleyan University. In the 1980's, she translated “Kudan,” a short story by Uchida Hyakken (in New Directions42), created an artist’s book (Bioordology) and began working on a project interviewing unconventional Japanese people. She also used her knowledge of Japanese language and photography in site-specific performance art pieces, receiving an MA in InterArts from San Francisco State University in 1987. She went on to design photographic masks and visuals for theatre companies in San Francisco. Beginning in 1989, she participated in "intuitive improvisation" on the shakuhachi with Una Nakamura on vocals and percussion, for meditative performances and sound blessings. She has been inspired by studying Deep Listening with composer Pauline Oliveros and the Four Fold Way with Angeles Arrien. 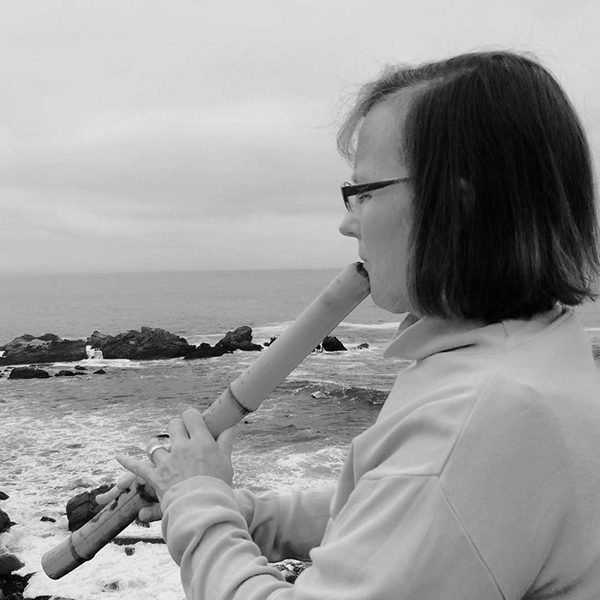 She is based in Berkeley, California and teaches the Myoan shakuhachi repertoire. She became a Certified Music Practitioner in the Music for Healing and Transition Program, and has played shakuhachi and lyre for hospice. Currently she improvises and plays experimental music, composes improvisational sound meditations, and combines her love of the unexpected and light-hearted social activism in site-specfic events. She is a member of the ensembles the Cardew Choir, Gusty Winds May Exist (with Tom Bickley), Dream Down Duvet (with Viv Corringham) and the Sisters of the Sound Continuum.